Today we are going to wander a bit off the culinary path. I want to talk about something more related to the natural living side of Paleo. If you’re the type of person who’s interested in healthy eating, chances are, you’ve probably been introducing a more natural approach to other aspects of your life. Maybe you switched to a biodegradable laundry detergent or perhaps an aluminum-free deodorant. All good things. Whatever you can do to minimize you and your family’s exposure to harsh chemicals and destructive consumption of the Earth’s resources is a big step in the right direction. Something that tends to be the last thing to change in a “naturally” focused lifestyle is skin and hair care products. Especially with women, we tend to be “married” to our favorite products. We claim that nothing works quite like Maybelline, Pantene, or Clearasil. For today, I will be discussing facial cleansing. And just cause you’re not 17 anymore does not mean you no longer struggle with acne. It’s causes range from hormonal to genetic to dietary and it usually is a combination of all three. We all have friends who have never had a zit in their lives and others who face a constant battle with blemishes.Unfortunately our cultural context doesn’t help this problem in the least. Our society constantly supports our obsession with clear skin at every turn. “Radiant Skin!” claims the latest magazine cover, “Reduces redness and moisturizes!” says some new teeny bopper in her Neutrogena advertisement on TV. Let’s just have a reality check for a second… all those ads, pics, and commercials have been to the Photoshop Fairy and back. As a soon-to-be wife of a designer, let me say that Photoshop is amazing at altering reality. Faith Hill’s skin is not that perfect and Kate Winslet is not that skinny. And by buying all those chemical and paraben laden products, all you’re doing is putting money in the pockets of weird science and marketing executives. Not to mention, you are robbing your skin of vital nutrients and encouraging more harm than good. It’s called the OIL CLEANSING METHOD. See, you’re scared… skeptical even. Basically unwilling to try. Well, you might want to reconsider. I am a girl (duh). In my teens, I struggled with acne here or there. Never had a huge problem that dictated Accutane or some other dramatic intervention, but my skin wasn’t perfect either. As I got older and began to clean up my diet, I noticed an improvement in the clarity of my skin. Not a total solution though. Oftentimes, my face would misbehave during menstruation, or right before to be accurate. According to the doc, I would see improvements by taking birth control (yay for currently accepted medical solutions…NOT). So I took it, for years and years. There was a definite improvement, but I could never totally get rid of it. Knowing that my acne struggle was mostly hormonal (whether it was during my monthly cycle or stress related was never totally clear, but both situations are hormone induced) was a blessing and a curse. Sometimes you just feel powerless over it. When I decided to go off the pill, I feared for my face big time. I knew that choosing to stop taking synthetic hormones was the right choice for me especially since I want to be natural, paleo, fertile…etc. I did, however, have serious concerns that the acne would return with a vengeance. Fast forward a year and a half of trying to get my hormones back to normal levels (after quitting birth control, it took me 8-9 months to have a menstrual cycle again, and even longer for it to happen every month… yeah, not cool. ) my skin did certainly take a hit. Not terrible, but once you have adult acne, even just a little, it really throws off the self-confidence. I used all kinds of cleansers as a kid and into adulthood. I really liked the Desert Essence tea tree cleanser (now sold at Trader Joe’s under the TJ’s label.) and had stuck with that for the past few years, believing that it was a good compromise between natural and synthetic. 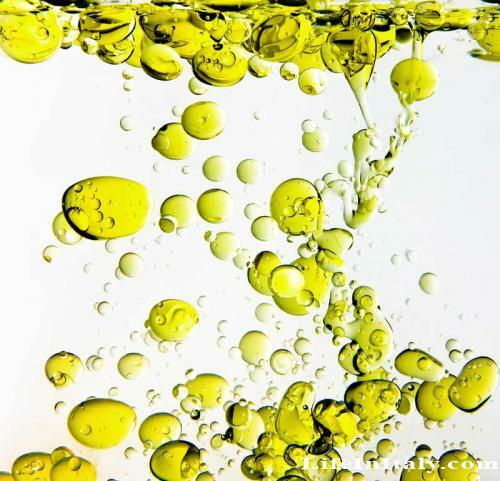 Then I recently stumbled upon an article about the Oil Cleansing Method. So I decided to try it. Throw caution to wind and slather my face with oil. No soap, no toner. Just oil and steam and a washcloth. It’s been working out great. I encourage you to try it, experiment with oil types and ratios. Please just try it, and don’t dismiss simply because you’ve always heard that oil causes acne. Do this at night. Don’t wash your face first with soap. Just use your regular face, as is. Get a washcloth or a basin with really hot water (at-home facial style). Make a mixture of some of these oils. I use olive oil and castor oil. It’s about a 2:1 ration, olive to castor, with a bit of jojoba mixed in. Put a nickel size puddle in your hands or dip your (clean) fingers into the mixture. After your minute of rubbing, steam your face for about a minute, either over the steamy basin or with a steamy washcloth. Once the minute or so is up, use the washcloth to lightly rub off the excess oil from your face. I’m not buying face products and inundating my skin with gross, chemically stuff. I no longer strip my skin of its natural oils, it’s always healthy looking and retains a glow. There’s a pretty good amount of info on the OCM online if you are interested in other people’s experiences and other types of oils and ratios to use. You should make sure you are drinking enough water. You should try a complete 30 day Paleo challenge (no sugar, dairy, grains, or legumes). I know that many dermatologists are recommending cutting out dairy because so many people respond well to that change. I think I’ll give this OCM a whirl! I absolutely despise how dry my skin feels after I wash with regular face wash… grrr. Almond oil works great for dry winter months!